In the north of the province of Malaga, near the border with that of Seville, between the Sierra de Cañete and the Sierra Zorrito, Almargen is typical of the plain villages whose main source of income is agriculture, being surrounded by olive trees and fields of cereals and sunflowers. 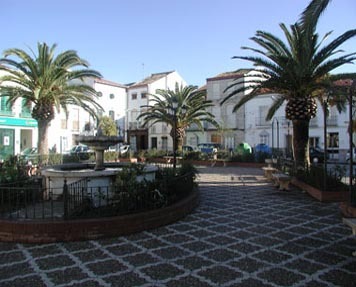 The focal point of the village, which is populated by houses of medium height, is its square, where locals frequently meet. Places of interest include Casablanca and Pedro Santo caves and the medicinal spring at Casablanca.The village is of Arabic origin, as suggested by its name, which translates as “the two meadows”. Human settlements in the area date back to the Neolithic period, but its first era of prosperity came with the arrival of the Phoenicians, as the road which linked Tartessos with Mainake ran through the village. In Roman times, a road connecting Antikaria (Antequera) with Acinipo (Ronda la Vieja) passed through the area.